I start my 8th year of teaching tomorrow! Crazy how time flies! 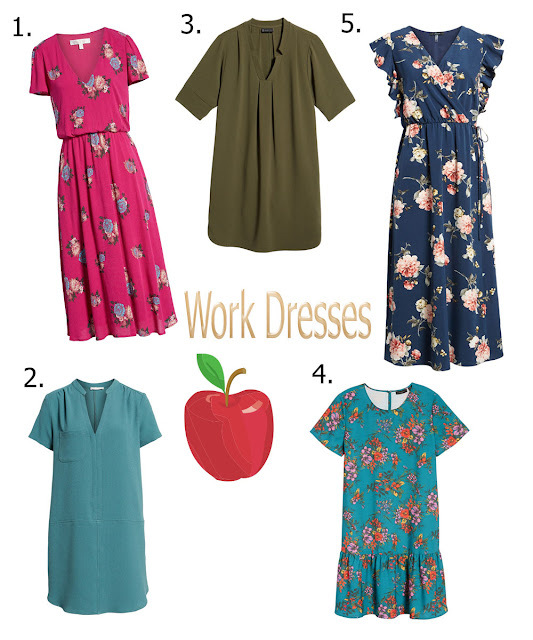 I wanted to share five of my favorite work appropriate dresses that I am loving right now! They are all under $100! CUTE styles. I especially LOVE #5! GOOD LUCK!!! Hope it is a great school year! Love all of these, especially this olive shift dress! Such great picks! Lovely picks dear, especially that Short Sleeve Ruffle Hem Dress. It's simple, but really cute.